this is so very breathtaking! Not such an ugly duckling! 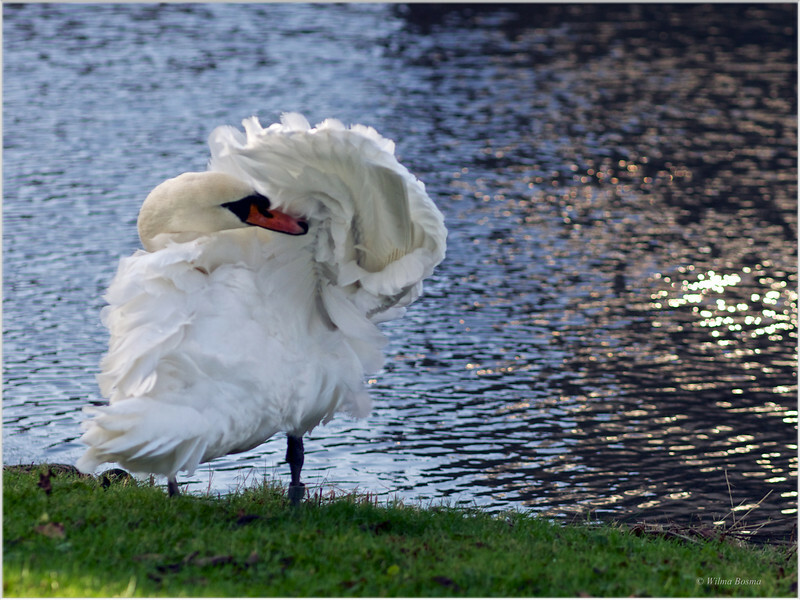 Great image of the swan, love the fluffyness of the feathers, just wish there was a little more light on the bird (but we can't have everything!). Great catch though. Love the fluffy feathers - beautifully captured! This is beautiful! I love the texture in the feathers... lovely image! totally outstanding capture, Wilma! Thanks for the tip on my pine cone shot. Erg mooi die zwaan en die glinstering in het water!